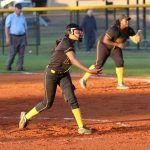 The Dillon Lady Wildcats dealt the Cheraw Lady Braves an 8-4 loss in Dillon on Thursday, March 28, in varsity softball. There was no score in the game until the bottom of fourth inning when Dillon placed 3 runs on the scoreboard. 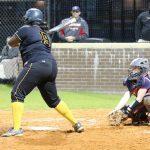 Queisha Wilson hit a triple to right and picked up 2 rbi. Queisha Wilson scored on a passed ball. In the top of the fourth inning, Cheraw’s #3 arrived at first on a bunt. 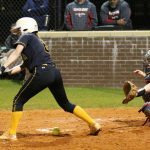 A sac fly by Cheraw’s #4 advanced the runner to second. Cheraw’s #15 punched one to left for a single. Cheraw’s #7 punched one over second for a single and a rbi. Cheraw’s #2 punched one over second to load the bases.A single to second scored a run for Cheraw. Cheraw’s #1 hit a sac fly to center to tie the game at 3. Cheraw’s #12 hit a grounder by third for a single and the go-ahead rbi. 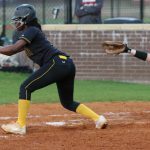 In the bottom of the fifth inning Jenascia Lester picked up a lead-off single on a bunt. Monazia Sowells sac bunted to move the runner to second. 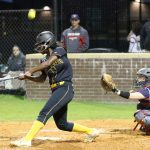 Nyeisha Wilson hit one to the short stop for a single and advanced the runner to third and then home on a throw to knot the game at 4. Abby Bristow popped up a high one at home, and she ended up on third. Qyeisha Wilson picked up a triple and a rbi on a hit to center. 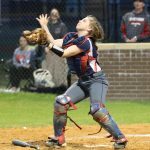 Skyler McCoy hit a slow-rolling ground ball for a single and a rbi. 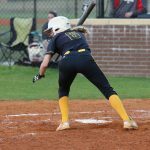 In the bottom of the sixth inning, Lexie Rogers was hit by a pitch followed by Logan Grice who also was hit by a pitch to place runners on first and second. Jenascia Lester sac bunted to advance runners to second and third. Dillon’s courtesy runner, #1, scored on a passed ball. Another run scored on a passed ball. Monazia Sowells garnered a walk and advanced from first to third on a passed ball. 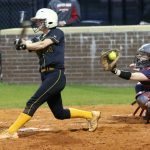 Dillon managed 5 hits in the game while Cheraw racked up 11 hits. 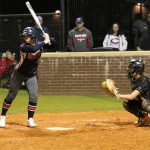 Callie Bryant connected for 3 hits and a rbi in her 4 at-bats for Cheraw, and Bridget Teal managed a double and a single in her 3 at-bats. 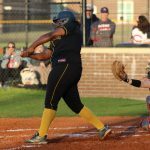 Dillon’s Qyeshia Wilson was perfect at the plate with a double, a single, and 3 rbi in her 2 at-bats. Monazia Sowells picked up the win for Dillon. 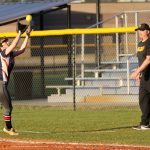 She pitched 7 innings and allowed 11 hits, 4 earned runs, walked 2, and struck out 4. Jaz Dixon was charged with the loss. 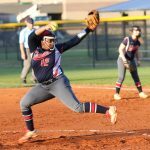 She pitched 6 innings and allowed 5 hits, 8 runs of which 4 were earned, walked 2, and struck out 4. Dillon runner safe at home. Dillon’s Skyler McCoy pops a lazy fly to first. 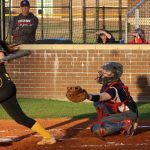 Cheraw’s first baseman catches lazy fly.